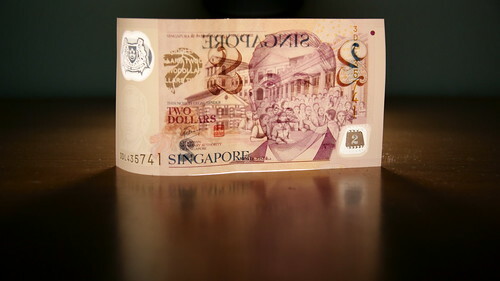 There is a particular coin which is commonly used as currency by every person in Singapore. Reach into your pocket and take a good look at the One-Dollar Coin. Issued in September 1987, this regular dollar coin, made from an alloy of aluminum and bronze, is round, no doubt, but every coin also has a unique octagon embossed on its surface. Did you know that apart from lending a unique appearance to the coin, this octagon has a much deeper purpose? The story goes that a highly influential Member of Parliament was very particular about Feng Shui and he believed that by respecting the laws of Yin & Yang, the country would benefit in both monetary and general terms. Under his tutelage, he insisted that there must be particular days of the lunar calendar and also to inaugurate any important event at specific times the day . In order to ensure that he was adhering the correct practices, the MP had a famous Feng Shui mentor - a late Venerable of a Buddhist monastery in Bishan. The MP would seek the advice of this Venerable whenever he had to make an important decision. Trivia: It is often said that Bishan Park was constructed in front of the monastery as the Venerable did not want any HDB flats or condominiums blocking the monastery's view. Hence the land parcel was set aside for recreational purposes despite it's lucrative value in terms of real estate development. The one-dollar coin came into circulation around the same time that the MRT lines were being constructed on the island. It is said that the Venerable had advised the MP against the digging of tunnels under our city state as it would be bad for the Feng Shui of the island. The "dragon head" of Singapore which lay at the mouth of the Singapore River was an important factor of bringing wealth into Singapore's economy. To dig tunnels underneath the city would mean severing the dragon vein and stop the influx of wealth and prosperity. However, with the importance of infrastructure to push forth Singapore's dream of being a cosmopolitan city, the MP set his mind on pushing ahead with the project. He wanted to know if there was anything that could be done to circumvent the implications of continuing on with his plans. “Yes”, replied the Venerable, “but it may be impossible to implement”. The Venerable then told the MP that it is imperative for every household on the island to have or to display a Ba Gua (八卦), the Eight Diagrams used in Taoism. The MP was in a real dilemma. With Singapore being a country which emphasizes freedom of religion, there was no way he could force the people to do this. Then, an idea struck the insightful MP. That same year, the One Dollar coin was minted and distributed amongst the citizens of Singapore. However, the One Dollar coins were not the only items which were held by the hoi polloi. Our paper bank notes were also imprinted with octagons. This has however been discontinued with the introduction of the new polymer notes. The octagon is absent from the newer polymer notes. Another observation by Singaporeans would be the "Ba Gua"-like shape of our road tax labels. With so many cars displaying their labels on our roads everyday, as well as the omnipresence of the Eight Diagrams as legal tender in our pockets, the country's continued fiscal growth is definitely well protected from the elements that might have otherwise harmed it, judging by the healthy GDP digits we had in the recent years.